Malcom… I think Edith Stein (Benedikta con Kreuz)! Patroness of Europe needs a Sonnet. A good sant for our times. Just a suggestion! Beautiful sonnet for a woman who lived life for the Lord on her own terms. I particularly like the line in your sonnet, ‘a window into his eternal love’. It reminds me of a description of a saints as someone in whom the light shines through. I have linked to your post on my blog today. Thank you. Lucid, fluent and profound. A fine sonnet. I love the sonnets inspired by the saints. 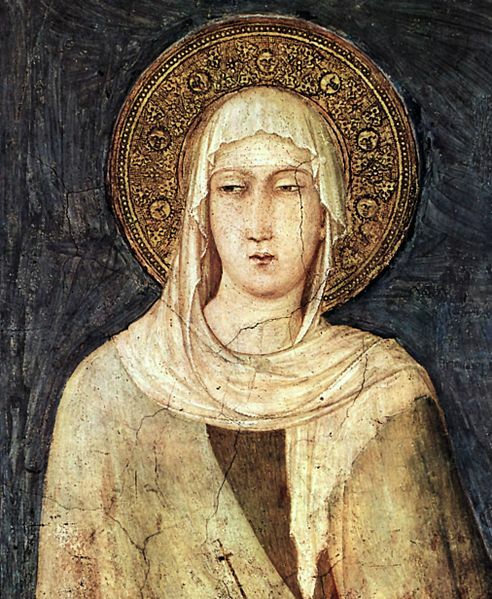 What have been the most useful resources for you for learning about saints like Clare?